Layne is a writer and activist, working on a range of LGBT and AIDS issues. It was Layne's idea for the LGBT community to march in the Bud Billikin Parade. Some did not originally support her idea, afraid for their safety. But the decision to march, and the legal fight to receive a slot, sparked a renewed sense of spirit and activism. An openly gay contingent marched in the parade for at least three years in the mid 1990s. 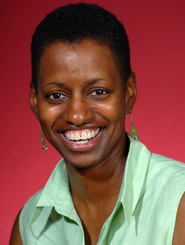 Layne has been a volunteer with Affinity, Chicago Black Lesbians and Gays, and is a founding member of Literary Exchange. She is also a sometime-columnist, including for Nightlines, BLACKlines and Windy City Times.